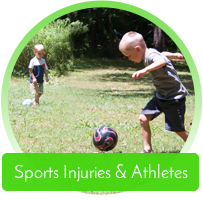 Asheville chiropractor, Dr. Derek Kasten began his chiropractic career by caring for hard working adults and athletes from Purdue University. He was also the team chiropractor for a professional woman’s and men’s soccer club (which he also played for) named FC Indiana. Starting off in practice his focus was on musculoskeletal conditions such as low back pain, sciatica, neck pain, headaches and migraines, as well as a myriad of sports injuries. 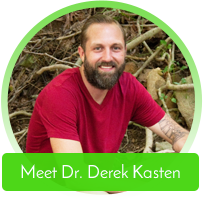 After Dr. Derek Kasten had his first child and saw the importance of chiropractic care in helping children grow and develop, he decided to expand his approach by seeking a certification from the International Chiropractic Pediatrics Association. 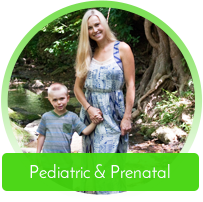 He is now Asheville’s certified ICPA specialist in pediatric and prenatal chiropractic care. He’s passionate about family wellness and he’s serious about educating parents who know there’s something better than the mainstream healthcare model – and are seeking it. 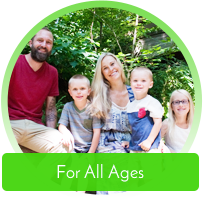 Dr. Derek has written an eBook describing some of the issues parents face in today’s American culture, and if you become a patient of his you’ll quickly find that he’s an advocate of lifelong learning. 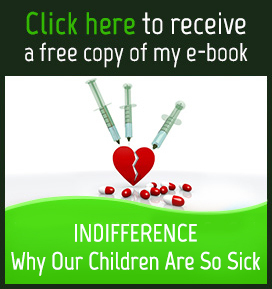 Click here to learn how you can read Indifference: Why Our Children Are So Sick. that keeps a family healthy for life. helping children and families find hope and healing. Don’t wait. Contact us for an appointment today. I can’t wait to go back and finish my treatment. Thanks! So far the sessions have been helpful and I look forward to working through all sessions. I’m relieved and excited to be your patient and I can’t wait to begin my treatment. So looking forward to improving overall health, I know I can do it with your help! Thank you Dr. Kasten!!! Our family is so lucky to have found you and I’m grateful for all you do for us! Great job Team. I feel great already, just with 2 adjustments. I appreciated the comprehensive approach and the balance between proactive and preventative care. Cheers and ONE LOVE! Pleasant and professional. Looking forward to progress and no pain. Screens and graphics extremely helpful in understanding the big picture. Structure relationships,back,neck and head makes good sense. If we have come this far in our health journey it helps to understand encouraging us on. I very much appreciated that Dr. Derek provided me with a treatment plan that spanned a reasonable time period, and included a payment estimate as well. I’m so happy I finally called you guys. Just mad it took me over a year to call. I’m in love with One Love, and will be telling everyone they need to go to you guys! I am impressed by the attention to detail in the diagnosis and treatment of my issues. The whole experience is very warm and welcoming and I look forward to feeling better soon! Great staff and practice! Very encouraging, friendly atmosphere. I will definitely be referring people to this practice. Thank you so much! Left there feeling great and energized! Thanks for all you do to bring health and vitality to all of us! Beyond Excellent! So happy we found you. Looking forward to continuing this journey. Feel so much better already and it has only just begun.